The best teams are those that combine the talents of some, with the skills of others to improve the unit as a whole. This facilitates complementary attributes to leverage the abilities of individuals for maximum productivity. OK, I can see you rolling eyes from here. While a bit heavy on the motivational speaker jargon, the previous statement remains true. Stay with me, I promise this is going somewhere. Actually, it's going somewhere pretty big. 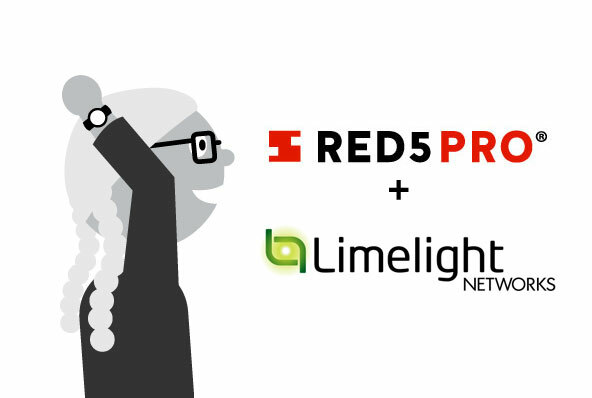 Today, Red5 Pro has announced a partnership with Limelight Networks. Why is that important? Well for those that are not familiar, Limelight has one the most extensive content delivery networks in the world, and Red5 Pro, of course, produces an industry leading low-latency, live-streaming solution (we may have mentioned that a few times). In total, this is a fantastic opportunity to increase the scope of Red5 Pro and diversify our product offerings. This collaboration promises to be very fruitful not only for Limelight and Red5 Pro, but most importantly, for everyone out there looking to create the best live-streaming experience possible. For more on this exciting news, please see our official press release. For more information on what Red5 Pro can do for you, please give us a call or email us at info@red5pro.com.